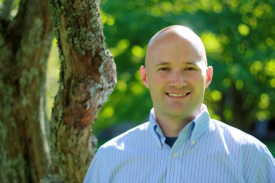 Halifax Psychologist is a Nova Scotia psychological assessment and treatment clinic operated by Dr. Brent Conrad with psychologists serving the Halifax Regional Municipality (including the areas of Halifax, Dartmouth, Bedford, and Sackville). If you are searching for Halifax psychologists or counsellors, please take some time to browse the site and feel free to contact me directly if you have any questions - I personally respond to every inquiry I receive. ● A registered clinical psychologist, I offer professional therapy and counselling services for issues such as depression, anxiety, stress, relationship difficulties, low self-esteem, grief, panic, anger management issues, internet and video game addiction, and many other personal difficulties. I am also partnered with the Bedford Psychologists clinic and operate Green Leaf Psychological Services. ● I provide psychodiagnostic and pschoeducational assessments for learning disabilities, attention deficit hyperactivity disorder (ADHD), and giftedness. Great care is taken to make testing comfortable and enjoyable, to deliver clear and timely reports, and to provide practical and helpful suggestions you can actually use. If your child is struggling academically or is having problems in school, a quality psychoeducational assessment can provide the answer to "why?" and solution to "what can we do about it?". I also provide adult assessments for Learning Disabilities, IQ, and ADHD. Trying to find the best psychologist for you? Make sure to read Halifax Psychologists and How to Choose One or the Nova Scotia Psychologists FAQ before selecting anyone...the information may really be helpful. 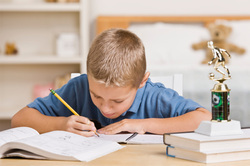 A comprehensive assessment with a psychologist can provide clear answers about learning disabilities, ADHD, intellectual functioning, and academic capability. Free in-person consultation. Goal-directed professional therapy and counselling designed to bring about real change...yet in a warm and supportive environment. Please feel free to contact Halifax Psychologist if you have any questions at all about starting therapy, assessment, or selecting the best psychologist for you. Seeing a psychologist for personal issues is normal and healthy. It does not need to be scary, stressful, anxiety-provoking, or mysterious. Ask a question - Dr. Conrad personally responds to every message and is happy to assist in any way he can! 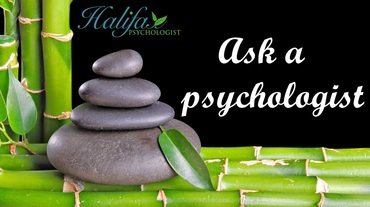 Why Choose Halifax Psychologist for Counselling or Assessment? Copyright © 2019 Dr. Brent Conrad, Halifax Psychologist. All rights reserved.